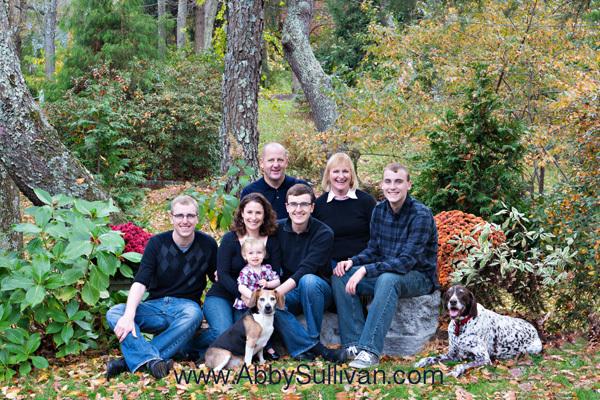 Abby Sullivan Photography, CPP, is a welcoming and comfortable portrait studio in Sharon, MA. We specialize in all types of portraits, such as pets and their families, children of all ages…..babies, grandparents, business portraits, and graduates. Check out our FAMILY and PET galleries and PROFESSIONAL HEAD portraits. We offer an unforgettable relaxed photography experience! Our philosophy is to have fun in an intimate environment without rushing our customers. We want you to be comfortable so we can capture the real you and assure your finished photographs will be delivered to you with the highest professional quality. Contact us to help create your personal ART OF MEMORIES with photographs that you will be able to hang on a wall, or sit on your desk, that you will treasure forever.